There’s no doubt that small businesses are on the rise, with recent figures suggesting over 620,000 are set up each and every year. With more and more competition out there it’s important that SMEs play to their strengths and fill any gaps in the market, while maintaining a strong online presence that can be the key to success. 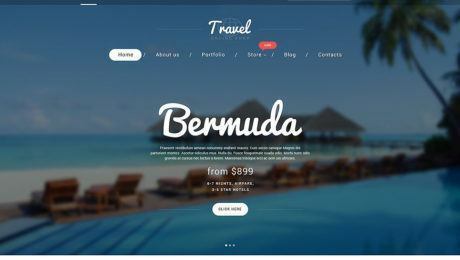 Crafting an attractive, vibrant, effective website can allow those with even the smallest budgets to stand proudly alongside their larger competitors, so now is the perfect time for you to give your company website a new lick of paint with our top themes for small businesses. 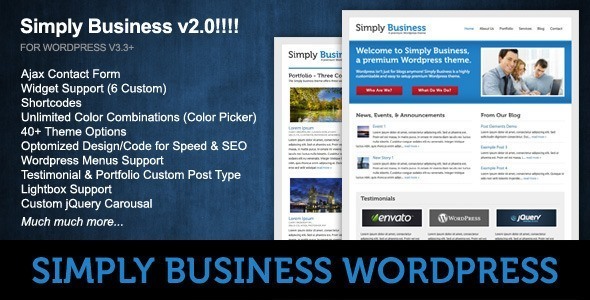 Aimed at small businesses, ProMotion is WordPress 4.2 ready and features Slider Revolution with an easily navigated drag and drop design interface. The powerful admin panel allows you to change styles, sizes and colours, so you can ensure your site matches your existing branding. 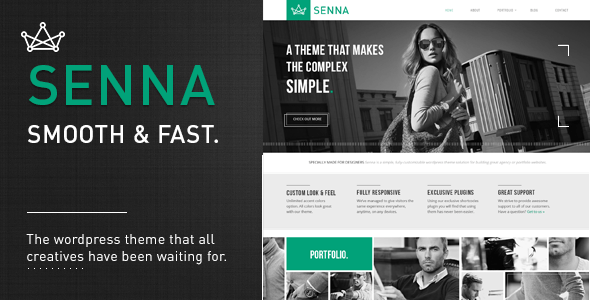 ‘Senna is the WP theme all creatives have been waiting for. Are you a creative agency, graphic designer, fashion creator, photographer, artist or anything in between? 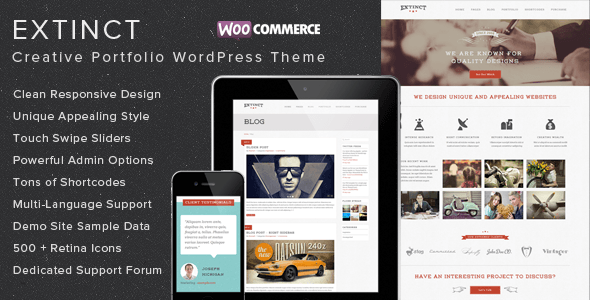 Then this theme is just perfect to show off your work. Coming with free lifetime updates, Progressio is translated into numerous different languages, making it an ideal option for the international small business owner. Suitable for users with no prior programming experience, Progressio can be used by any type of small business – whether you run a spa, environmental agency, non-profit organisation or accounting firm. 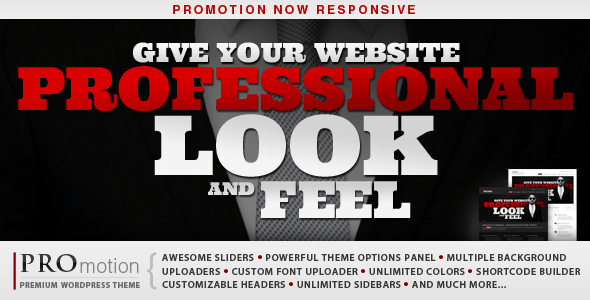 The theme also includes 23 HD video tutorials that will help you bring your site to life with no stress. 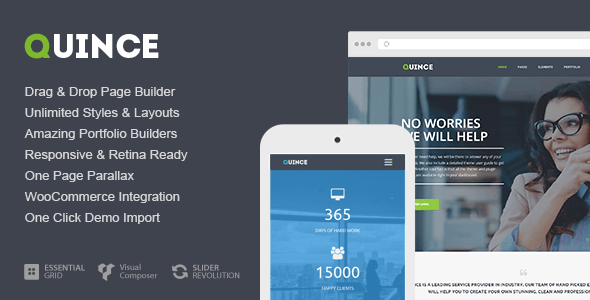 Billed as the ‘perfect solution for modern business’, Quince is designed to provide you with everything you need to create a handcrafted, user friendly site for your small business. 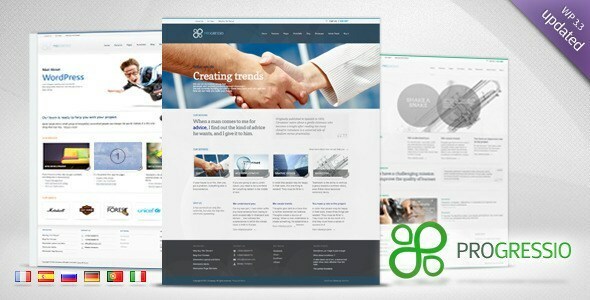 Designed with functionality and flexibility in mind, the developers assure you that ‘you can’t go wrong’ with Quince. A theme that focuses on the needs of small businesses, Driving School comes packed full of features that any SME owner would ever need for their website. A responsive theme that looks great on desktops, tablets and mobile phones, Driving School comes with a testimonials section, an FAQ section, a grid portfolio, members section and price table section – along with many other features to help your website stand out from the crowd. 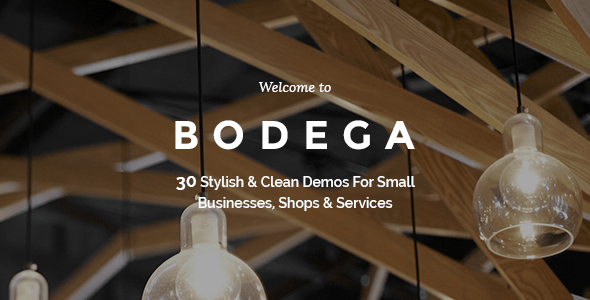 Packed to the rafters with 30 clean demos for SMEs, shops and services, Bodega is a modern, crisp theme that gives you the freedom to easily craft a site that shows off your products in a fun, aesthetically pleasing way. Great for a stylish website that knows its target market inside out, Bodega is ideally suited to those small businesses with a strong brand and visual appeal. 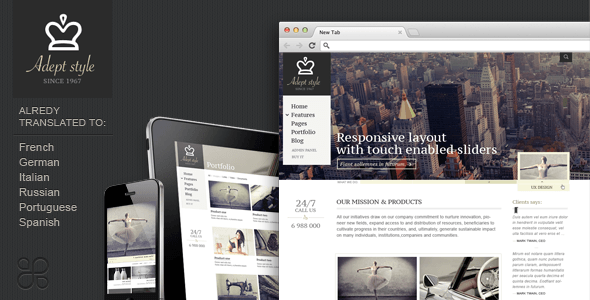 A premium design that features easy styling and a responsive layout, Adept Style boasts touch enabled sliders and a dedicated mobile design that looks fantastic on mobile phones and tablets. 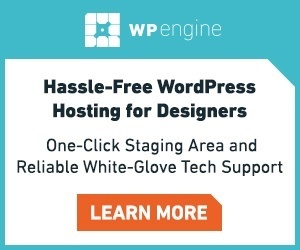 An integrated Help Desk is available to provide you with full support with any issues you might have, and exceptional page load performance from the outset means slow loading times will be left in the past – exactly where they belong. 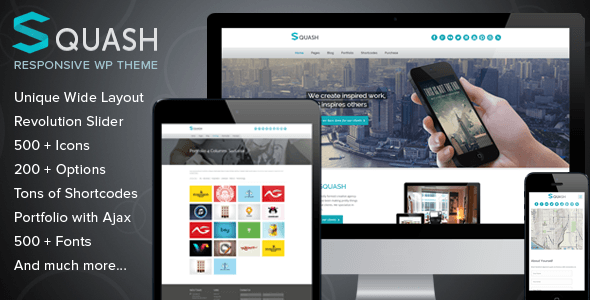 Geared towards small creative agencies, Squash is the result of hours of detailed study to ascertain the requirements of this kind of business. All of the features any creative agency might need are included in the theme and the delicate balance of performance and aesthetics has been struck perfectly. You only have to look through the numerous demos to see how versatile Loriette is – instead of telling you how versatile the theme is, they’ll show you! 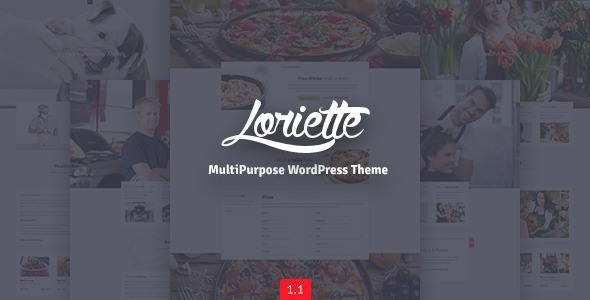 With demos covering everything from pizzerias to hairdressers, from florists to veterinarians, Loriette is a responsive theme that features a strong call to action in the header, Google Map integration, WooCommerce support and much, much more.